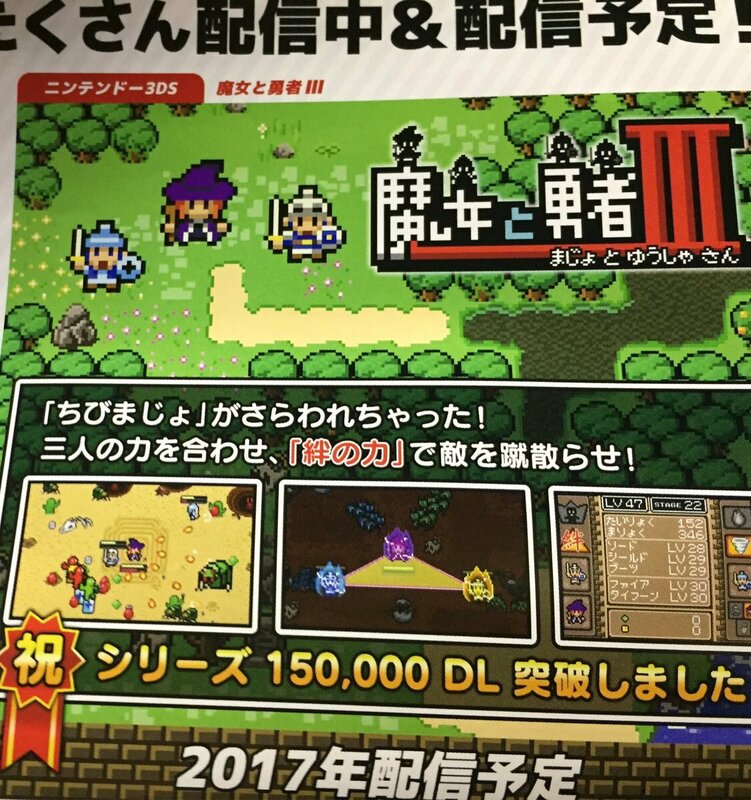 A bit of news you may have missed late last month: Circle Entertainment slipped into its flurry of Tokyo Game Show 2017 tweets the fact that Witch & Hero 3 is in the works for the Nintendo 3DS. That announcement made me happier than any other dropped during the formerly illustrious Japanese gaming event. If you're wondering why, consider that I named the first Witch & Hero one of my favorite games of 2013, and I did the same with Witch & Hero II last year. 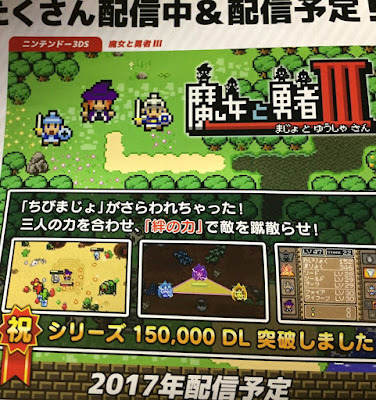 Sadly, the only things known about Witch & Hero III at the moment are its title and Circle's goal to release the game before the end of the year. A few other details can be gleaned--or at least guessed--from the tiny screenshots included in the above-mentioned tweet, thankfully. One is it looks like more than one "hero" will join the titular witch on the battlefield this time around. Another is the game may include a second witch as well, if the shadowy figure that's positioned second from the left on the game's logo is any indication. Should that first assumption prove to be true, I can't say I'll be thrilled, to be perfectly honest. Despite enjoying Witch & Hero II overall (as per my review), I preferred the original to it in the end because I found controlling both the witch and the hero cumbersome. Controlling a witch and two heroes--or, gulp, two witches and two heroes--in Witch & Hero III may push me over the edge. I'll buy it regardless, of course. Hell, I'll likely buy it twice--once on my main North American 3DS, and once on my main Japanese one. The real question in my mind at this point: will Circle bring the game to the Switch, too? If so, I suppose I'll have to buy it a third time. You know what I'd like even more, though? A Switch port of the original Witch & Hero. The game doesn't need to be displayed across two screens, plus this would put one of my favorite 3DS eShop titles (check out this recent-ish post for nine more of them) on my current go-to games console. If you're curious to read more about why I'm such a fan of the series' first effor, by the way, you can do so in my Witch & Hero review. Other than that, are any of you also excited about the impending release of Witch & Hero III?